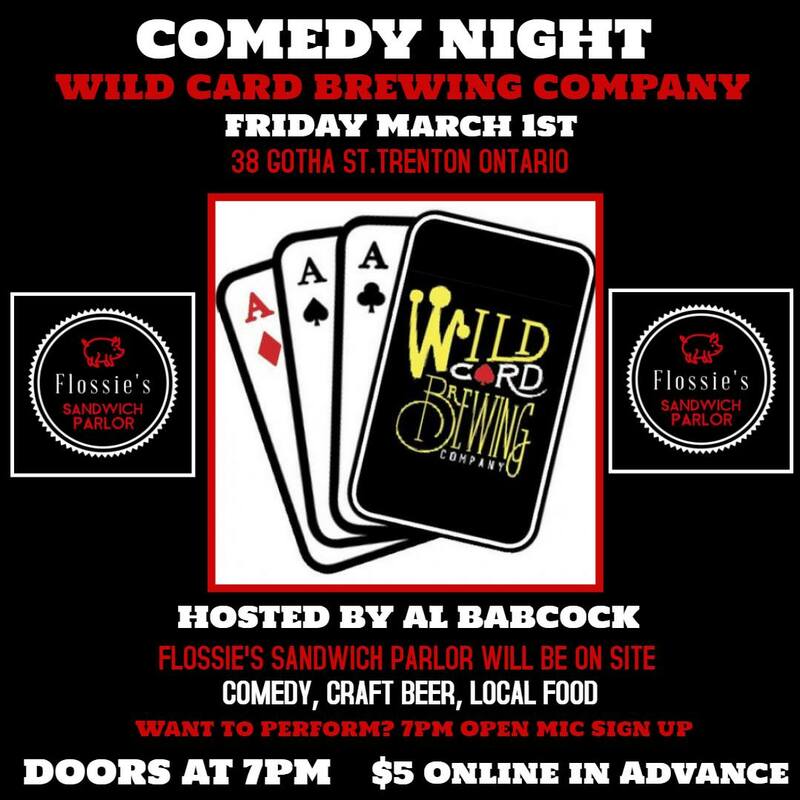 Come out to Wild Card Brewing Company Friday, March 1 for Wild Card Comedy Night, featuring some of the best up and coming comedians amateur around as well as professional comedian guests. Delicious Flossie’s Sandwiches, makers of fine burgers, sandwiches and vegetarian options will be on site serving up some awesome local food. Hosted by Comedian Al Babcock. Admission is $10 at the door, there are a limited number $5 online advance tickets if you would like to guarantee your spot. Host Al Babcock has been seen opening for acts such as Super Troopers, Kenny vs. Spenny, Randys Cheeseburger Picnic (Trailer Park Boys), Insane Clown Posse and more. He was a headlining act at this years Ice Cold Comedy Festival and will be opening for Canadian TV Icon Ed The Sock in March. Come out for a night of drinks and laughs at Wild Card Brewing Company. See you there friends!